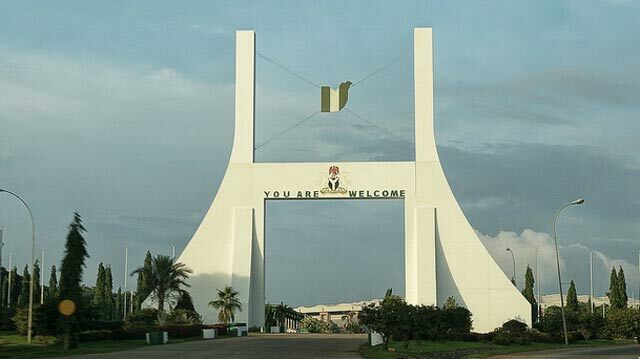 Before the mid 1980’s the city of Abuja was a casual geographical area in Nigeria that served as a home to its mainly indigenous Gbagi citizens popularly known as the gwari tribe and a few migrants who chose to settle in the area at the time. Like a newly born baby, I have watched the city of Abuja grow from just another random city in Nigeria into one of the fastest developing capital cities in the world today. Nigeria’s heterogeneous political and religious status quo created a need to situate the capital city in an area seen as neutral by the whole country. The ground-breaking ceremony was done in the late 70’s but most of the major projects were completed in the late 80’s and was officially declared as Nigeria’s capital in 91. Evolving through stages, Abuja has developed from a dessert land of gwari settlers to Nigeria’s metropolitan city and Africa’s fastest developing city. From empty lands to properly constructed roads, and as the government erected more infrastructure, the city took shape bit by bit. The initial master plan for the FCT was put together by the International Planning Associates, IPA. Interestingly, the various leaders who in one way or the other contributed to the completion of Abuja project all ruled during military era. Federal Ministries, Departments, Agencies, MDA’s and embassies either moved their headquarters or opened a liaison office in Abuja. 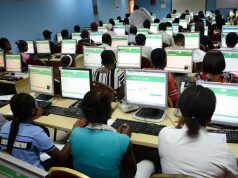 Workers and civil servants migrated to Abuja and multiple mass housing projects were built for civil servants and the rising influx of people. Employment opportunities increased in the public sector, and there was an expectation of the “private-sector-boom” to follow suite and it did. 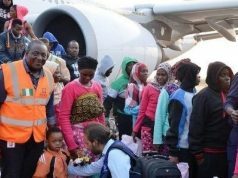 Abuja became the next place to migrate to for Nigerians after Lagos. Although it is still one of the best cities in the country and arguably the continent as regards city planning and infrastructure development has deteriorated enormously over the years. I remember moving to Abuja in 97 as a child; It was an experience I had longed and waited forever since the day my dad came back home with the news of his transfer to the new capital. I would wake up every day and ask quite impatiently – “daddy when are we leaving for Abuja now?” Until the day, my dad said we were leaving in two days. Finally, it happened! We were on our way to this new city. It was very overwhelming for me and I fell in love with the city and have been here for 18 years. It was the first big city I ever visited, as I had never been to Lagos at the time, and our driver, Thomas, made sure he took us on a tour to all the “famous” places; the boat house, the ship house, eagle square, Aso rock, national park and zoo, Sheraton etc. The feeling I got from Abuja at the time, even as a child was one of appreciation for the structures, clean roads, functioning street lights etc. The city was evenly populated at a time, but over the years, people have migrated in high numbers and Abuja is gradually becoming over populated. Abuja today, is a sad shadow of what it used to be. The once adorable city is gradually degenerating and social infrastructure is suffering depreciation, majority of the street and traffic lights don’t work anymore, if we are lucky we get traffic wardens at some junctions commanding traffic on busy weekdays whilst most weekends we get nothing: and road accidents in the city is constantly on the rise especially during weekends. It is almost certain that if one drives through town in the early mornings of a Saturday or Sunday, it is almost certain to see car crashes at severally junctions. Tiny potholes that were abandoned have now eroded into large holes scattered round major and minor roads in the city and like all things Nigerian, lack of management and carelessness has taken its toll on the city. In 2003, Abuja got one of its finest ministers Mallam Nasir El-rufai, who did his best- amidst opposition and challenges – to clean up the city and put the right things in place. He banned the use of unsafe commuting with bikes popularly known as “okada” in the city and in turn got brand new city buses for each area in the city. These buses were properly managed at the time, they were affordable for the masses, neat, properly labelled at stopped at the appropriate bus stops that were placed around the city. I remember having summer lessons and using the buses back from school every day and stopping at the bus stop just in front of my street. It was a pleasant experience for me, the buses were neat, everyone had a space and it wouldn’t admit more than the number required so there was no “lapping” unlike the Nigerian commercial buses in different states. Where I lived, there were buses every hour heading to different places and the reliability of the system and the safety of Abuja at the time was as good as awesome. All my classmates took these El-rufai buses as they were called at the time and whenever I remember the glory days of Abuja, that brief moment, were the city felt safe and functioning, that was the glory days. One might ask, what then happened to the buses? Well, after El-rufai’s ministerial regime, the buses were thoroughly mismanaged and eventually sold to members of the public. Today, they operate the semi dead vans with little or no quality control check because most of them are very tattered, its once clean red colour now dusty brown and rusty metals hanging from the doors that have now refused to close. It’s easy when you look at these things, to fall into the well-known Nigerian consolation narrative and say “well, nothing lasts in Nigeria”, but sometimes it gets tiring. You want to ask why? Why can’t we have a city that starts well and is run well continuously? Why can’t we have streetlights and traffic lights that ALWAYS work? Why can’t we have safe clean buses and bus stops around the city? Why must all things Nigerian die prematurely? Why? I would love it so much if the government takes us back to good old days.